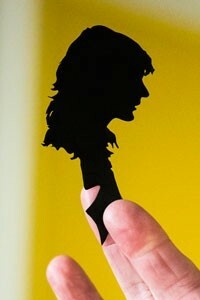 On-the-spot portrait silhouettes of your guests, cut freehand with scissors from back paper in about two minutes each. Based in London available to perform at Weddings, Parties & Corporate Events Worldwide. A silhouette artist work on the move, carrying all the materials he needs for his art in specially-made pockets in his jacket. This means he is quite a home in a wide variety of situations: mixing with the guests at a reception or working around the tables during the courses of a dinner. 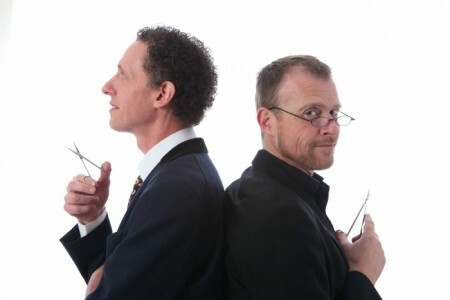 Guests are asked to pose - quite literally for one minute - while the artist produces a pair of surgical scissors and expertly cuts their exact profile at a speed most people simply cannot believe. 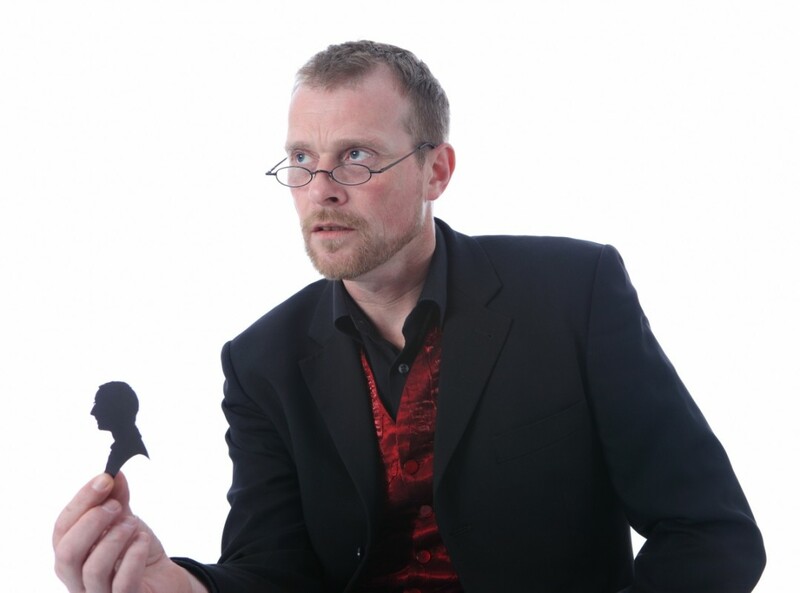 When held up to the light the likeness is instantly recognisable, to the amazement of all. 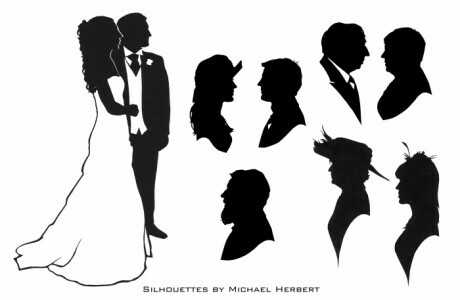 As a final presentatio ... n the silhouette is fixed into a smartly-printed wallet card (which can be pre-printed with a corporate logo or silhouettes of a bride and groom) and handed to the guest as a souvenir before the artist moves on the find his next subject. UK-based silhouette artists Michael Herbert and Charles Burns have each been working as "The Roving Artist" for nearly fifteen years, brought together by a shared interest in the forgotten English art of silhouette cutting. They have taken this lost art and re-invented it for the 21st century, combining traditional skill with modern and stylish presentation. They work at a wide range of events all over the world, as far afield as Rio de Janeiro and Marrakech. 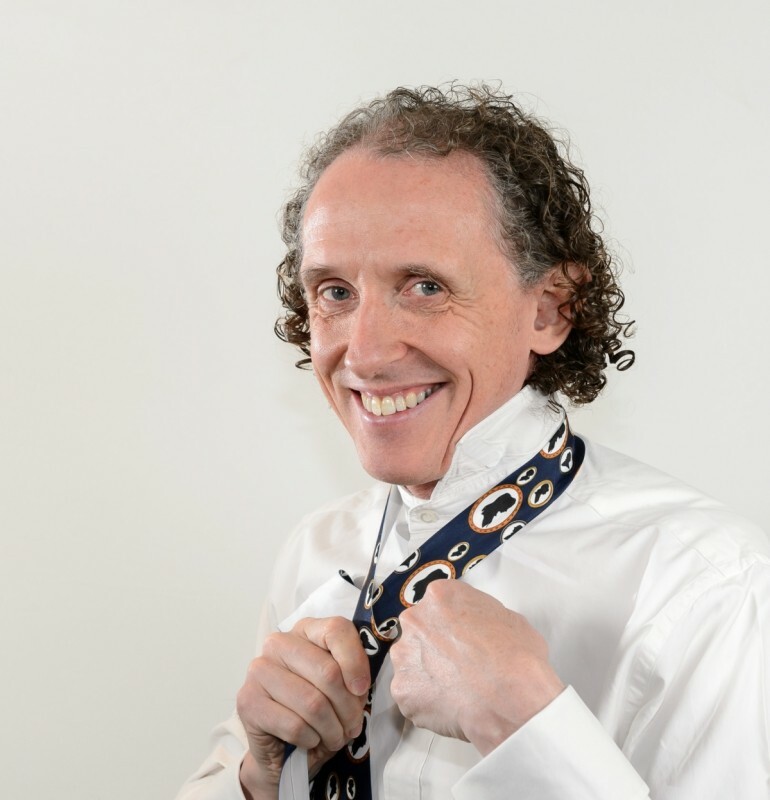 it is not unusual for Michael to find himself at a wedding in Italy while Charles is working at a product launch in Birmingham, UK. 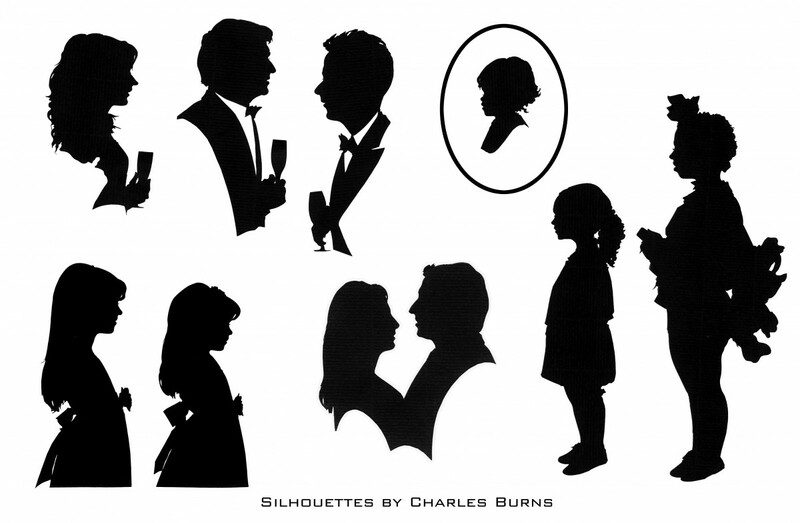 They ... also run workshops and give talks, while Charles has written a book on the subject: Mastering Silhouettes, published in 2012. Charles Burns has appeared at all kinds of venues - too numerous to mention - and cut over 150,000 profiles, including two portraits of the Queen, one of President Clinton (while visiting the National Portrait Gallery), the Duke of Edinburgh, and any number of TV personalities, writers, artists and sporting celebrities. 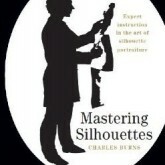 Mastering Silhouettes, a signed copy by Charles Burns. Shipping is for international orders, for UK orders contact the artist.